Three months have passed after America’s war with England. London was nearly repaired from the damage. The civilians happily walked round the streets as they did their part to rebuild London. At Simon’s house, the Rogue Warriors were happily living their lives. Simon seemed depressed. “What’s wrong, Simon” asked Alison. Simon sighed and said “Nothing”. “There is something wrong” said Alison “you’ve been feeling depressed for about a week now”. “Its just that… every job I’ve applied for has either turned me down or suddenly ended just as I start it” said Simon. “Don’t worry, Simon. You’ll get one eventually” said Ben. “But how long will that be, Ben?” asked Simon “A month? A year? I should be getting one now!”. “Well its hard to get one currently, because London is still being rebuilt” explained Alison. “Humph! I’m just a complete loser!” said Simon. “Don’t say that, Simon” stated George “you’re one of the greatest heroes this country has ever seen and the best friend I’ve ever had”. Simon then looked up to the other three. He then hugged them. Chucky rushed into the room. “Guys, Helen is extremely ill,” he said. “She can hardly breathe!” said Chucky. “We better get her to the hospital” said Simon. Down at the hospital, they managed to get Helen there quickly. The doctor approached them. “Is she going to be ok?” asked Vicky. “She’s fine at the moment” said the doctor. “What do you mean at the moment?” asked Charles. “We’ve strapped her to a breathing machine. But we can’t keep her there forever” said the doctor. “So what is going to happen?” asked Chucky. “I’m going to run a few tests with Professor Summers, to find out what’s wrong with her” explained the doctor. “How long do you think it’ll take?” asked Dave. “About an hour or two, why?” asked the doctor. “Its just that… hospitals creep me out!” said Dave. “Well, don’t worry. It won’t take long,” said the doctor as he headed back into the ward. Charles then turned to Dave. “How do hospitals creep you out?” he asked. “I just feel like, death is after me whenever I’m in here” said Dave. “Aww! Are you scared of a itty bitty little hospital?” teased Vicky. “Shut up, Vicky! Shouted Dave. “You guys, this is not the time to mess around. Helen almost died today,” stated Simon. “You’re right. Sorry, Simon” said Vicky. “I hope she’ll be ok,” said Chucky. One hour later, Professor Summers approached the Rogue Warriors. “So, what’s the verdict, professor? Is she going to be ok?” asked Charles. “I’m afraid she is in grave danger as well as you four,” stated Professor Summers. “Them as well?” asked Simon. “Yes, Simon. Them as well” said the professor. “What’s wrong with us?” asked Vicky. “Come inside, I’ll explain everything” said the professor. The all entered Helen’s ward. Helen was still strapped to the breathing machine. She was unconscious. “What’s wrong then, professor?” asked Chucky. “Due to the recent increase in CO2 emissions after the battle with the Americans, the air has now become poisonous for you four” explained the professor. “Your bodies are currently trying to fight the poison, but eventually you’ll won’t be able to breathe our air,” explained the professor. “Why has it overwhelmed Helen?” asked Charles. “Because she is too young. Her body’s defences cannot fight the poison yet” explained Professor Summers. “So, what does this mean, professor?” asked Dave. “It means, you four are slowly dying,” said the professor. “I’m afraid so” said the professor “The only way to save your lives is to get you back on your own planet”. “But that’s impossible” said Vicky “we don’t have anything to get off this planet”. “Actually, we do” explained Chucky “Me and Professor Summers have been working a transporter device”. “We were gonna use it to transport us to different countries to solve other mishaps around the world” explained Chucky. “I think we can modify it to get you back on your own world” said Professor Summers. “So, that means… you all have to go?” he asked. “Yes, Simon. In order to save there lives, they have to get off this planet,” said the professor. “But, that means Zeus won’t be stopped the next time he tries to conquer the world!” stated Simon. “No, he won’t” explained Charles “he’s from our world too. If he stays here, he’ll be dead”. “But wouldn’t that be better than him trying to take over your world?” asked Simon. “Don’t be foolish, Simon” said the professor “Zeus doesn’t deserve to die and you know it”. “Well, it looks like we have no choice,” said Dave. “Indeed” said Charles “I’m going to the maximum security prison to get Zeus. Simon, you and Dave go and inform the Prime Minister of the situation”. “I’ll go to the workshop with Professor Summers and continue work on the transporter device” said Chucky. “And I’ll stay here with Helen” said Vicky. “Remember to be quick. You won’t be able to breathe in our air for long” stated the professor. Simon and Dave entered the Prime Minister’s office. “Ah! Simon, Dave, welcome,” said the Prime Minister. “Hi, sir. But I’m afraid I have bad news” said Simon. “What’s wrong?” asked the Prime Minister. “The pollution in the air is killing Dave and the others,” said Simon. “The pollution?” asked the Prime Minister. “Yes sir” said Dave “Helen is in hospital, struggling to breathe”. “Well… I’m afraid I can’t do anything about that,” said the Prime Minister. “Not to worry, sir” explained Dave “Chucky and Professor Summers are currently building a transporter device to get us back on our planet”. “So… you guys won’t live here anymore?” asked the Prime Minister. “It’s not fair,” said Simon. “I’m sorry, Simon. 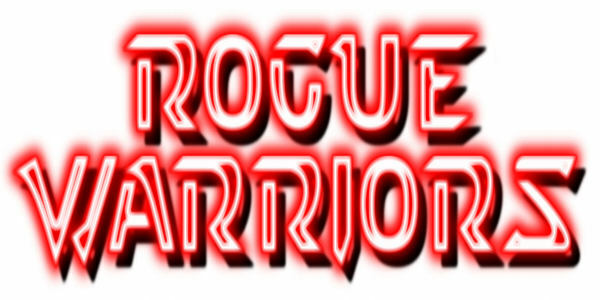 But we have to do what is best for the Rogue Warriors. You surely must know that?,” stated the Prime Minister. “I know,” said Simon quietly. “What’s wrong, Dave” asked Simon. “I’m feeling groggy,” said Dave. “You’re running out of time,” said the Prime Minister “you have to get off this planet soon”. “Don’t worry. Chucky will be finished with the transporter, soon” explained Simon. At the maximum security prison, Zeus was in his jail cell, in pain. Charles approached the cell. “So, we meet again, Zeus” he said. “Charles! Have you come to mock me about my pain and defeat?” asked Zeus. “As much as I would like to do that. I’m afraid not,” said Charles. “Well then, leave me. Can’t you see that I’m in pain here?” asked Zeus. “Yes, I know you’re in pain” said Charles “and I know what’s causing it”. “How can you know?” asked Zeus. “Because Helen is in the same amount of pain as you are” said Charles. “Helen? Well then, what’s causing it?” asked Zeus. “The pollution in the atmosphere has made the air poisonous to us” stated Charles. “So, how are you gonna stop it?” asked Zeus. “We can’t” stated Charles “however, Chucky and Professor Summers is building a transporter device to get us back on our planet”. “Wait, are you here take me back home?” asked Zeus. “As much as I hate to say it. Yes” said Charles. “Humph! You’re lying, aren’t you?” asked Zeus. “I can assure you that I’m not,” said Charles. “I don’t trust you. I think I’ll take my chances here,” said Zeus. “Fine, stay here and rot in your cell,” said Charles. “Rot in my cell?” said Zeus. “Yes,” said Charles “The poison will kill you”. Zeus then thought for a moment. “Fine. You win again, Charles” he said “it’s safe to say that I’ve got no hope in conquering this planet”. “Good. Now lets head for Professor Summers’ workshop” said Charles. Back at Simon’s house, Ben, Alison and George were discussing the situation. “I can’t believe that the Rogue Warriors have to leave,” said Ben. “They’re such good friends,” said George. “Well, you both heard the professor. If they stay here, the pollution will kill them,” stated Alison. “At least Zeus can’t stay here as well” said George. “I hope that he won’t cause must devastation when he goes back” said Alison. “Don’t worry. He is no match for them,” said Ben. The phone then rang. Alison answered it. “It is time,” said Chucky over the phone. “Ok, Chucky” said Alison “we’re on our way”. “What is it?” asked Ben. “The transporter is ready. It’s time to see the Rogue Warriors off,” said Alison. The three then headed for Professor Summers’ workshop. Down at the workshop, Chucky and Professor Summers had brouht the transporter device outside. Simon, Dave and the Prime Minister helped. Vicky arrived with Helen who was wearing a gas mask. “Is the gas mask too tight, Helen?” asked Vicky. “Where’s Charles?” asked the Prime Minister. “He’s coming with Zeus,” said Chucky. Charles and Zeus arrived shortly afterwards. “So Zeus, You finally get to leave this planet,” said the Prime Minister. “Indeed” said Zeus “May I just say one thing?”. “What is it?” asked the Prime Minister. “You have been a worthy enemy from keeping the Queen away from me for so long,” said Zeus. “I never thought I’d say this but, thank you Professor” said the Prime Minister. Ben, Alison and George then arrived. “Ok everyone, lets get going,” said Charles. “We’ll miss you,” said Alison a bit tearfully. “Goodbye everyone. We’ll never forget you,” said Chucky. The Rogue Warriors and Zeus stepped inside the transporter. Simon thought with frustration. “Activate the transporter when ready, professor” said Charles. “I’ll miss you, guys,” said Professor Summers. He was about to switch on the transporter. “What is it, Simon?” asked the professor. Simon then looked at the Prime Minister and then his friends. “Professor, does their planet contain a breathable atmosphere for humans?” asked Simon. “Yes they do. Why, Simon?” asked Professor Summers. “Because I’m going too” said Simon. “What do you think you’re saying, Simon?” asked the Prime Minister. “I said I’m going with them,” said Simon. “Simon, don’t be stupid. Why do you want to go?” asked Ben. “Because I’m a nothing here,” said Simon. “Don’t say that. We’ve been over this already” said Alison. “Listen to me guys. Before these guys came here, I had no job, no money and no future. But then the Rogue Warriors arrived into our lives and I became a somebody” said Simon. “But we can still help you, Simon. You’ll get a career, eventually” said George. “Guys, I appreciate you helping me these past couple of years, I really do. But this is my decision” stated Simon “I’m not changing my mind”. The Prime Minister then took a deep breath. “Well then, I suppose there’s no point arguing” he said. He shook Ben and Georges hand. He then hugged Alison as she cried. “Goodbye, Prime Minister” said Simon. “You have been a valuable ally to this country, Simon. Good luck” said the Prime Minister as he shook Simon’s hand. Simon then stepped in the transporter with the Rogue Warriors and Zeus. “Activate the transporter, Professor Summers,” he said. “Goodbye, Simon. I’ll miss you my friend,” said the Professor. The transporter then activated. The Rogue Warriors, Simon and Zeus then disappeared. The Rogue Warriors, Simon and Zeus appeared on a green field. “Welcome to your new home, Simon” said Charles. “This place looks beautiful,” said Simon. “This is only the countryside,” explained Dave “the main towns are a few miles away”. “As much as I love to stay and chat, I have to head back to my old lab” said Zeus. “Oh well, he’ll be back” said Chucky. “What am I gonna do anyway? Where am I gonna live?” asked Simon. “Don’t worry, Simon. We’ll look after you,” said Dave “consider it repaying the favour as you was looking after us on your planet”. “Thanks, guys. You’re all the best,” said Simon. “You’re gonna love it on our planet” said Helen as she took her gas mask off.